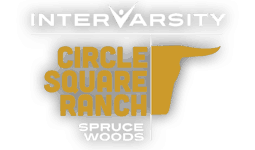 Our vast range of programs and activities makes Circle Square Ranch appealing to children and teens. 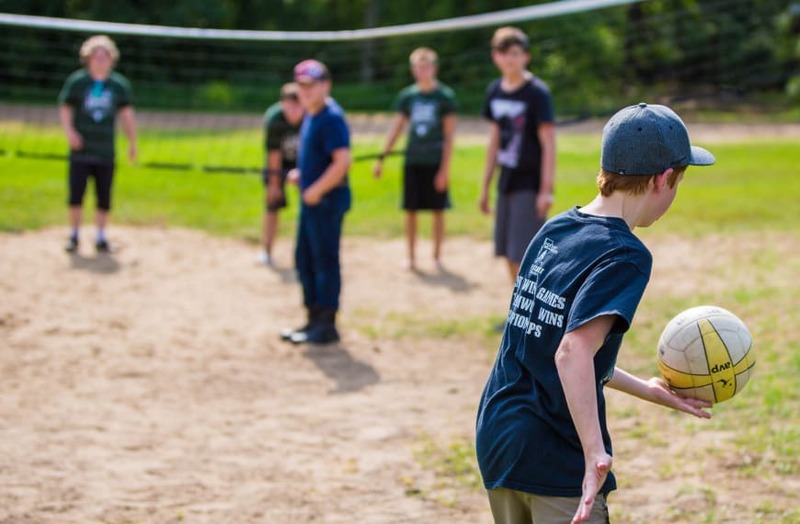 We encourage campers to try new and exciting activities that are challenging and fun. Exploring the beautiful outdoors with friends are a part of each fun-filled day at camp. 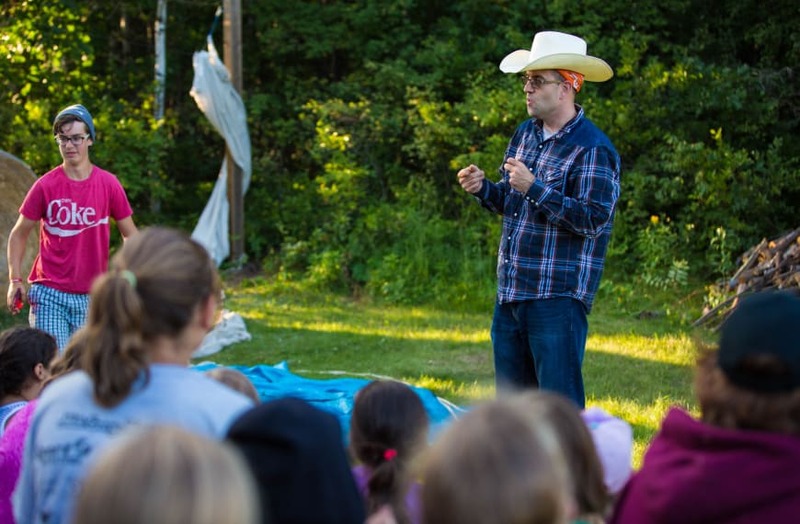 Through high energy and interactive campfire times, daily cabin devotions and the example of our staff, campers will have the opportunity to discover what the Bible has to say about Jesus and our relationship with God. 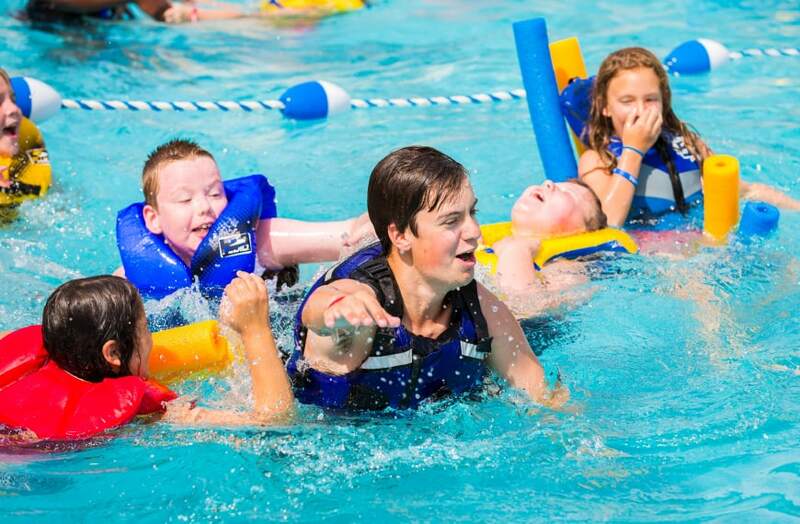 Campers participate in a variety of instructional and recreational activities based on their preferences. Detailed information will be sent with confirmation of your camp registration. 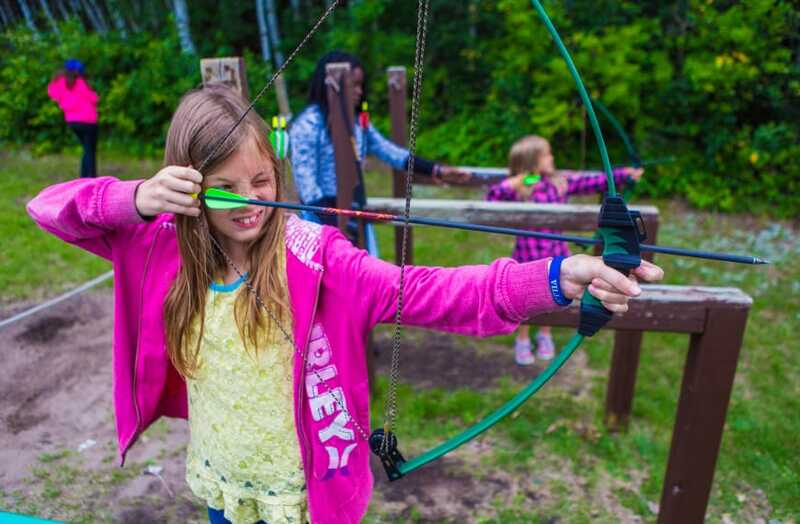 This package will include camp specific drop-off and pick-up times, a packing list, and other important information that you will need for your child’s week of camp. If you do not see an answer to your question, check our FAQ page or contact us. We are more than happy to help! Campers will learn the basics of horseback riding and horse handling. Among other things, they will learn to mount, walk, stop and turn safely and correctly.  Riders in our Western Town Camps are given the opportunity to participate in our level riding, CHA-approved horsemanship program. Campers are then placed in a level based on their current riding ability. Riders progress as they learn more advanced skills. Campers learn new skills in an arena and participate in one trail ride during the week. Riders learn to lead their horse safely on the ground. They learn to mount and dismount. Riders learn to stop, start and steer their horses at a walk. Once a rider has good control at a walk, they will be introduced to jogging on their horse. As their skills develop they will learn proper balance and control at a jog. Riders learn how to post while jogging and continue to develop their control at a jog. Campers will also learn to lope, working on proper cues, balance and position. Riders begin to develop better control at the lope, learning simple lead changes. Riders learn extension and collection at all the gaits. The importance of good equitation is emphasized and campers are encouraged to begin riding with finesse. Riders learn how to work together with their horses to complete more advanced tasks. They will work on flying lead changes, turning on the haunches, smooth transitions between gates and square halts. 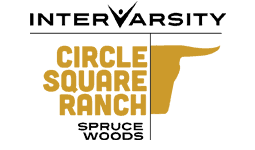 Good equitation continues to be emphasized and riders are encouraged to ride with subtle and accurate cues. 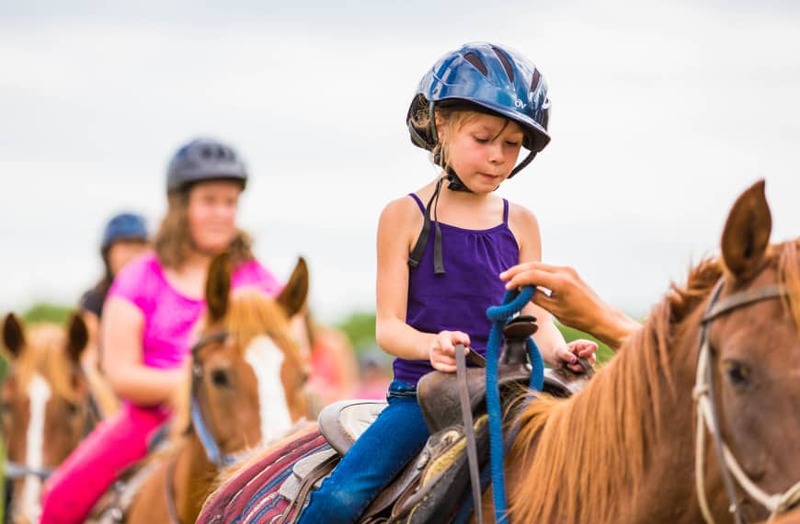 Campers who choose to participate in our trail riding program will not only get to ride the trails but they will also have the opportunity to participate in arena games and relays on horseback throughout the week! Perfect for the rider who wants to spend time with the horses and the great outdoors.